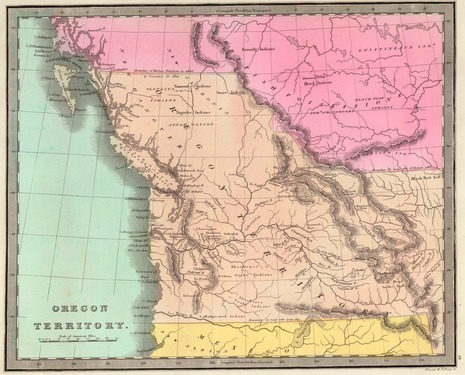 On August 14, 1848, Congress created the Oregon Territory, an area encompassing present-day Oregon, Idaho, Washington, and parts of western Montana and Wyoming. 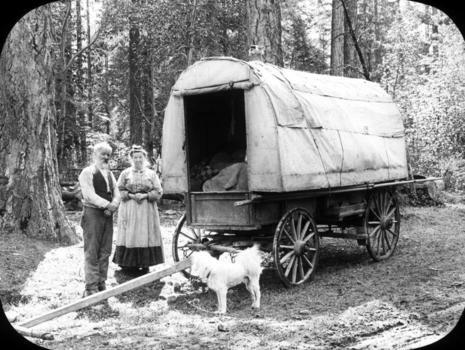 Peter Burnett, a Missouri lawyer who joined an expedition to the Oregon Territory in 1843, hoped to make enough money there to repay his accumulated debt. 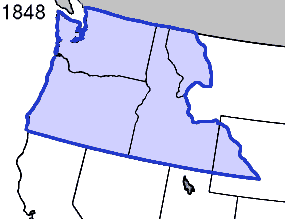 The Territory of Oregon was organized on August 14, 1848, by an act of Congress following the settlement of the Oregon boundary dispute with the United Kingdom. It originally included all of the present-day states of Idaho, Oregon and Washington, as well as those parts of present day Montana and Wyoming west of the Continental Divide. It extended from the 42nd parallel north (the boundary of the Adams-Onis Treaty of 1819), in the south to the 49th parallel . 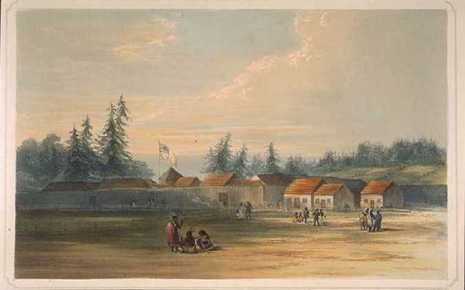 The first territorial capital was Oregon City from 1848 to 1851, followed by Salem from 1851 to 1855. 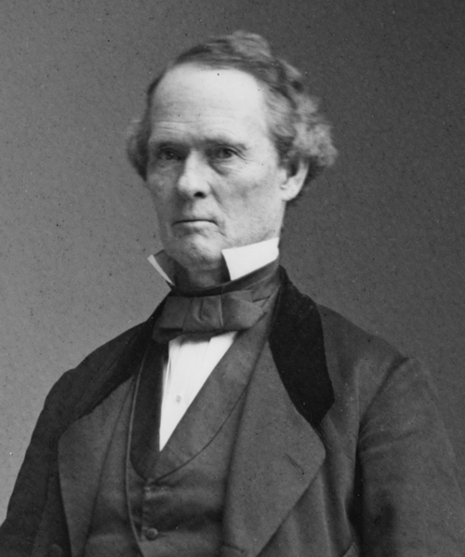 Corvallis served briefly as the capital in 1855, followed by a permanent return to Salem later that year. In 1853, the portion of the territory north of the lower Columbia River and north of the 46th parallel east of the river was organized into the Washington Territory. 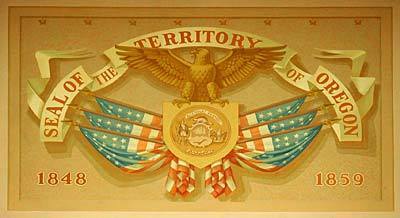 On February 14, 1859, the territory entered the Union as the U.S. state of Oregon within its current boundaries. The remaining eastern portion of the territory (the portions in present-day southern Idaho and western Wyoming) was added to the Washington Territory.